Fianna Fáil is expected to add two TDs to its all-male ticket for the European elections, the Irish Independent has learned. Amid questions about its failure so far to field a woman to run for Europe, a senior TD in the party issued an appeal to women to get involved in the party, insisting "our door is always open". The party has selected three male candidates to contest the elections to date: TD Brendan Smith is running in the Ireland Midlands and North-West constituency, former minister Barry Andrews is vying for a seat in Dublin, while Councillor Malcolm Byrne was selected by delegates to run in Ireland South. However, the party's national constituency council will meet this week to decide where to add more candidates, and who. It is expected that Anne Rabbitte, a TD in Galway East, and Billy Kelleher will be added. Ms Rabbitte - who threw her hat in the ring without consulting Fianna Fáil HQ - will be the only woman running for the party in May. Fianna Fáil's education spokesman Thomas Byrne and equalities spokesperson Fiona O'Loughlin both indicated they believed gender would be taken into account by the internal committee. However, both rejected the suggestion that Fianna Fáil had a "woman problem", having failed to organically select a female candidate. "We had two excellent candidates; Mary Hanafin and Anne Rabbitte put themselves forward and unfortunately they were beaten on their respective nights," Ms O'Loughlin said. Former education minister Ms Hanafin lost out for a place on the ticket in the Dublin constituency. The successful candidate, Mr Andrews, previously said the party does not have enough support in Dublin to run two candidates. Ms O'Loughlin suggested that the European Parliament may not be attractive to female candidates. MEPs travel to Brussels and Strasbourg to attend sessions. 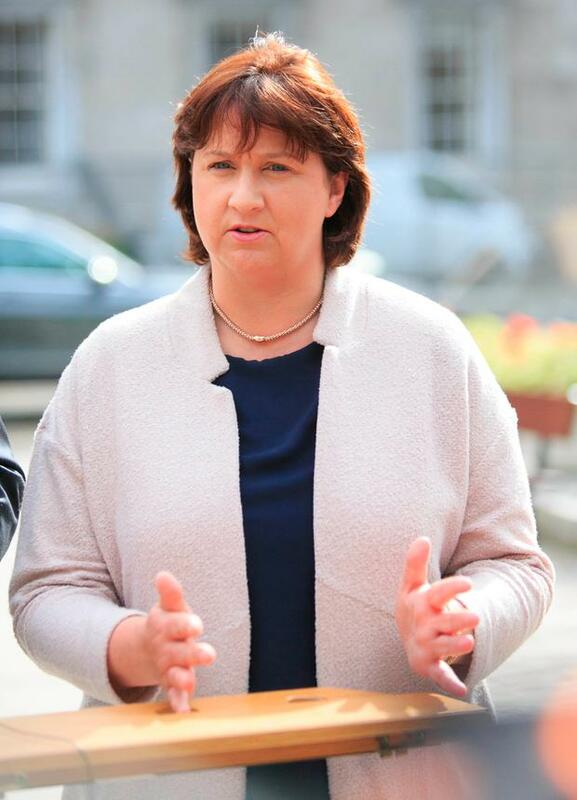 "I would imagine that the whole European context sometimes can be for women, particularly of those who are mothers, can be a difficulty, and that's why sometimes it can be difficult to get women to stand up to be candidates in European elections, but we certainly had two very fine candidates putting themselves forward in Mary and Anne," she said. "I've no doubt by the time we have a complete ticket we will have a woman." Pressed on the fact that other parties did not appear to have such difficulty getting women to contest the election, Mr Byrne said that all parties were struggling to field women for elections. "We have the same at local level, we don't have enough and neither do Fine Gael." The Meath East TD went on to issue an appeal to women to run for the party, saying: "The door of Fianna Fáil is always open to female candidates whether it is at European, local or national level. "If you're a female candidate who thinks they can offer something to the party - there are some who have already put their names forward and I'm sure are being considered," he said. "We're very interested in promoting and not just running female candidates but getting them elected too." Fianna Fáil leader Micheál Martin has said the party will field more than 20pc female candidates in the local elections.